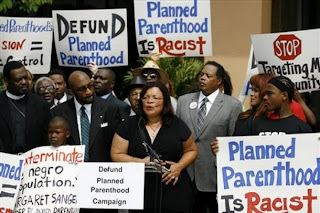 SUNLIT UPLANDS: Dr. Alveda King to Planned Parenthood: Stop Lying About Martin Luther King, Jr.
Dr. Alveda King to Planned Parenthood: Stop Lying About Martin Luther King, Jr.
Dr. Alveda King, Pastoral Associate of Priests for Life and niece of Dr. Martin Luther King, Jr., has responded to Planned Parenthood's King Day press release linking the work of the abortion business to the civil rights leader. "Every year Planned Parenthood tries to imply that Dr. Martin Luther King, Jr. would approve of what it does today because he received an award from the organization 44 years ago," said Dr. King. "Every year they lie. My Uncle stood for equal protection and non-violence -- two concepts that Planned Parenthood violates every day by being the nation's largest abortion business." Fr. Frank Pavone, National Director of Priests for Life, stated that Planned Parenthood is no stranger to falsehoods. 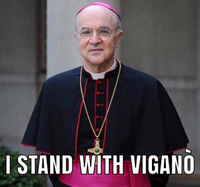 "Videotape reveals that Planned Parenthood doesn't tell the truth to women and doesn't tell legal authorities about possible criminal activity," said Fr. Pavone. "Its implied claims about Dr. Martin Luther King, Jr. are just more of Planned Parenthood's stock in trade -- deceit." "Dr. Martin Luther King, Jr. did not attend the event where his award was presented. We don't even know if he wrote the words of the acceptance speech that was read at the banquet," added Dr. King. "In 1966, abortion on demand was unthinkable. To imply that Uncle Martin's receipt of that award constitutes his endorsement of what Planned Parenthood engages in today -- the destruction of human lives -- is an outrage."